The Wizards used a late 11-0 run to pull away and defeat the Bucks 110-105. John Wall led the way with 24 points and 11 assists but Kelly Oubre stole the show with 19 points (a career high) and nine rebounds in arguably the best game of his young career. Bradley Beal and Marfieff Morris chipped in with 20 and 15 points respectively. The Wizards started this game out sluggishly, connecting on just one of their first seven shots as they found themselves in an early hole. The Bucks shot 61 percent in the first quarter behind several three-pointers from Mirza Teletovic, as they took a 32-23 lead at the end of the first quarter. In the second quarter, the Wizards bench came up big, starting the quarter on a 12-0 run to regain the lead. After that, the Bucks held the lead for a majority of the second quarter but the Wizards were able to fight back and tie the game at 52 at halftime. The Wizards got off to another sluggish start to start the third quarter as the Bucks outscored the Wiz, 10-2 over the first 4:42 of the quarter. The Wizards countered with a 9-0 run as the lead would seesaw back and forth only to be tied at 77 entering the fourth quarter. The Bucks got out to a six-point lead but once again, it was Kelly Oubre who came up with big plays. A corner three-pointer as well as a steal and a dunk on the other end helped the Wizards regain the lead and ice the game. The Wizards have now won two straight and three of their last four games. Oubre was the first player off of the Wizards bench for Markieff Morris and was then tasked with guarding Giannis Antetokounmpo for parts of the second half. He made his mark with 19 points (9 in the first half) and nine rebounds. Rather than dribbling the ball into crowds, Oubre stuck to his strengths tonight with catch-and-shoot threes as well as put backs around the rim. Oubre picked off a pass in the fourth quarter and finished with an uncontested breakaway dunk. Plays like this were something Wizards fans dreamt of when he was drafted. Expect Oubre to get more and more minutes as the season rolls along. The reserves combined for 32 points tonight (16 in the first half) led by Oubre with 19. 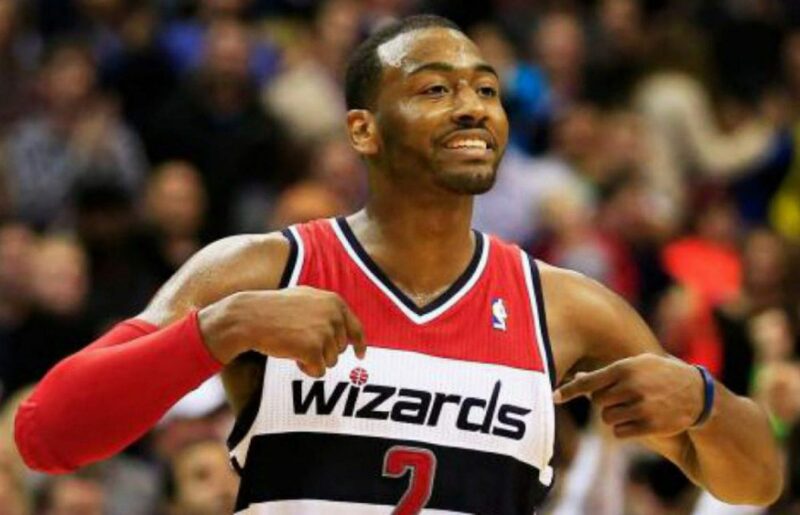 The bench started the second quarter on a 12-0 run as the Wizards regained the lead, 35-32. Aside from Oubre, Burke turned in a decent performance as he scored five points tonight. This was key as Burke did all of his scoring in the second quarter as Wall was resting on the bench. The bench, often known for blowing leads, was able to maintain and regain the lead tonight, at least in the first half. Let’s hope that what we saw tonight becomes more of the norm for this unit. The Wizards won a game where five players scored in double figures with three (Gortat, Oubre, Morris) players coming up just one rebound or point shy of a double-double. For the first time in a long time, the Wizards got a great, all-around effort. Morris, who’s caught a bit of heat this past week for his lack of effort turned in one of his better performances. It was a collective effort as Wall, Beal, and Porter all hit key shots for this team down the stretch.